It’s beginning to look a lot like “Wedding Season”. Your wedding cake is like the exclamation point on the reception and it should be a total reflection of your style and taste. 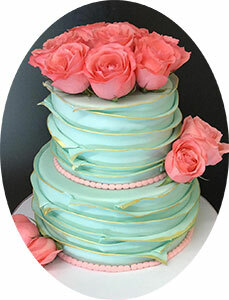 In order to make your big day as special as possible, we will help you design your “dream” wedding cake. 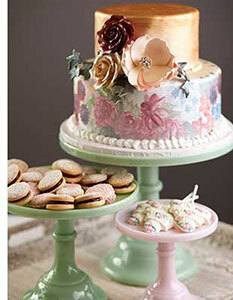 Take a look at our Wedding Cake Gallery to generate some ideas. And then book a Cake Tasting Appointment with our “Cake Specialist to pick your favorite flavor. As fun as it is to look at pretty Wedding Cake pictures, it’s actually really helpful too. You’ll start to recognize cake details that you like (and a few things you don’t). Then when you’re meeting with our Cake Specialist, you can tell them exactly what you’re looking for and ask to see specific examples of designs you know you like. Have a question??? Please use our convenient “Contact” form to submit your questions. We’re very happy to help. 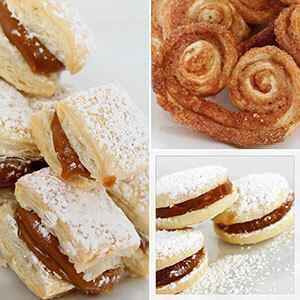 This entry was posted in Azucar Bakery News, Online Shopping News. Bookmark the permalink.